Champagne & Lace ARE YOU A VENDOR? Champagne and Lace offers hundreds of gowns to choose from, and a pressure-free service to work with. 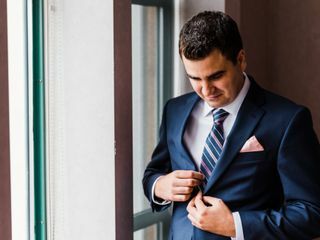 The non-commission sales team makes the wedding attire shopping experience more friendly and delightful. No appointment is necessary, and in-house alterations and an amazing seamstress make this a one-stop, convenience shop. Champagne and Lace was amazing! My group and I had such a fun time. I found my dream dress. Chantale was an incredible consultant. She listened to what I wanted and what I liked and kept everything within my budget! I would 100% recommend them to anyone! 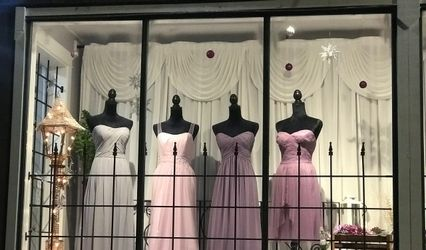 I previously purchased my prom dress here around 8 years ago and couldn't imagine starting my dress shopping anywhere else. Olivia was amazing. I went in not knowing what I wanted my dress to look like; but she quickly had me try on dresses and determine what I liked and didn't. I was able to find my dream dress within the hour! Upon pickup they ensured i had a seamstress or was booked through them. Amazing service and amazing quality dress. I am definitely going back there for my next big event. We are so grateful for your loyalty to our store ! 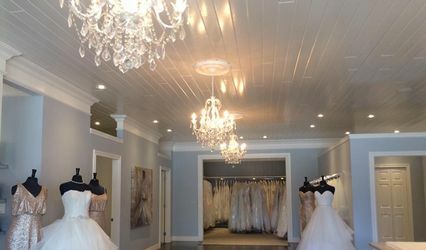 This is the place to buy your dress! 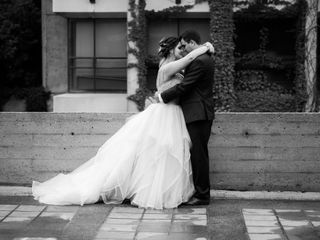 I had a wonderful experience buying my wedding gown through Champagne and Lace, and would highly recommend their shop to anyone getting married on the search for a gown. The staff were very friendly and knowledgeable, always making me feel welcome when I came to the store. They made the process of looking for and altering my dress very easy. 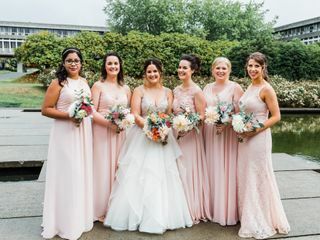 The prices for the dress itself and the alterations were also very reasonable, especially considering the quality of their dresses are hard to match in the Fraser Valley. I tried on some dresses in a few other bridal shops, and found many other places had dresses of lower quality that were much more expensive. All in all, I highly recommend them! My only suggestion to potential buyers would be to ensure you make appointments for dress searching and making alterations early in order to accommodate your schedule. 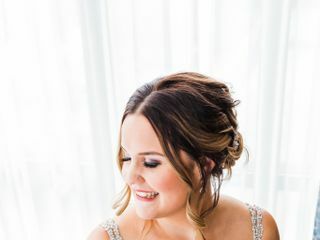 I was a little late in booking said appointments, and while I got dates that all worked for me, I have the luxury of very flexible work that made it possible. So don't wait on making the appointments! wonderful staff and gorgeous dresses! 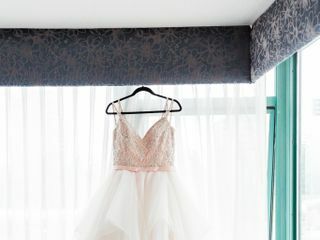 I bought my dress at Champagne and Lace a whole year before my wedding, as I happened to go when they were having a sample sale and found the perfect dress! Everyone at C&L was so friendly, and I gladly took my bridesmaids back there to find their dresses as well. We didn't ever feel pressured to buy extras (such as a veil or jewelry) and they were very accommodating for my one bridesmaid who wasn't going to be in town until a week before the wedding, and another bridesmaid who was due to have a baby a month before the wedding. I also got my alterations done at C&L, and while others have told me I could have gotten my alterations done cheaper somewhere else, I don't think I would have trusted someone else to do it! My dress had a LOT of layers in the skirt, and beading on the top- so yes alterations weren't cheap, but they also took a lot of work. My dress turned out great! Thank YOU so very much for taking the time to post this review. It is customers like you that make our job rewarding and positive ! All the ladies here @ C&L wish you MUCH health, happiness and love! I would never recommend this place to anyone! The consultant Jacky was making rude comments, wouldn’t let me try on the dresses I wanted because of “my size”. She was completely unprofessional and it was a horrible experience. Dylan, I am SO very sorry , this review upsets and shocks me ! We would never not let a customer try on gowns, we are in business to do business !! This explanation of our store just seems "off" and I would like to discuss it further with you if you are open to it. Jacky is a plus sized gal and is very aware of size and making our customers feel welcome in our store . 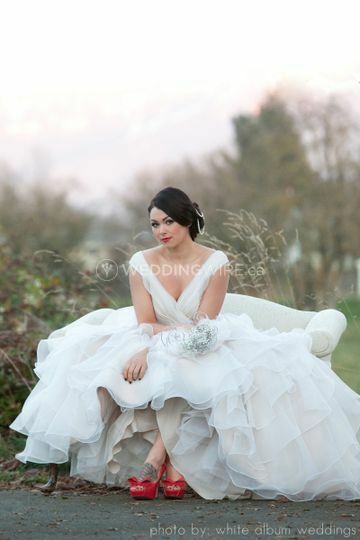 We also pride ourselves on our selection of gowns for brides with all shapes and sizes. Again I am so very sorry for your negative experience in my store. if you would like to have a conversation one on one , I would love to speak with you , please call the store, my name is Robynn and this is my store.